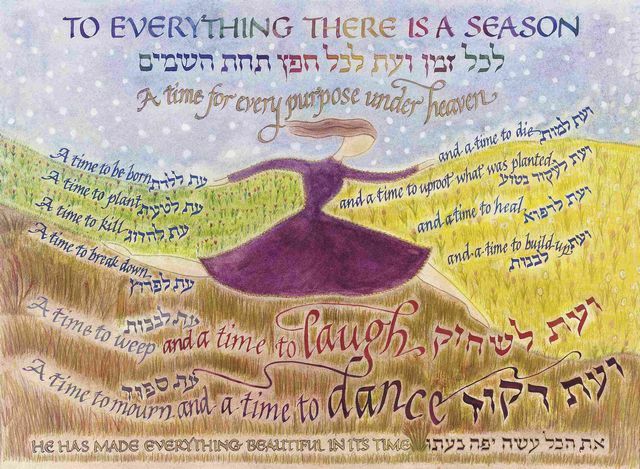 ...Our special friend friend IHanna lives in the mountains high above the Sea of Galilee where she creates original inspire works of art that are based on Scripture. 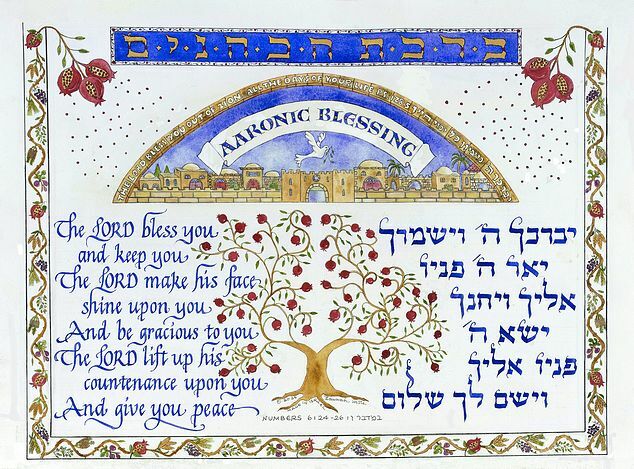 She is a gifted calligrapher of Hebraic art. Enjoy these ART WORKS to adorn your home or office, or as special gifts to loved ones. These prints are a great value for the money and of the highest quality with vivid colors of the Galilee. 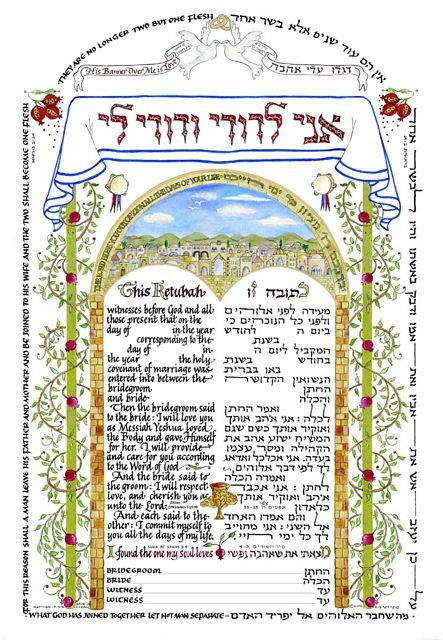 BEST MESSIANIC KETUBAH Highest quality, hand-finished 22k gold-embossed -- full 12.5 x 18.0 inch. A KETUBAH is a Hebrew marriage document that dates back centuries and today is one of the most cherished forms of art found in traditional Jewish homes. It is a most meaningful ART WORK in that it describes the holy agreement that the man and woman named on the document entered into at marriage. The KETUBAH is hung in a special place in the family home, and is a daily reminder of the sacred vows and commitments the marriage partners have made to each other before God. A KETUBAH also make a wonderful anniversay gift to present to your beloved spouse. It can be used to afirm the commitment you now so much more deeply understand as the years of your marriage have passed by. Your KETUBAH --or the one you present to that special couple in your life-- will be something that is cherished lifelong. Children will treasure the KETUBAH of their parents, and and pass it down from generation to generation. Our artist Hannah will prepare an original KETUBAH for you and tailor it to your personal requirements. Each KETUBAH you order is hand-finished by the artist with elegant calligraphy and colors with space to include the personal information about your wedding. You have the option for the artist to add the bride and groom's information with professional caligraphy. For a detailed description of this KETUBAH, please CLICK HERE.